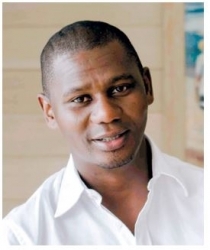 Mahlati's working life started with a lot of small parttime jobs, but his professional career commenced when he obtained a position at British American Tobacco as a marketing management trainee in Stellenbosch in the early 2000s. During the last year of his time at Diners Club, Mahlati started a business with a partner, which prompted him to drop everything in Johannesburg and move down to Durban to give the business the much-needed focus required. Mahlati reflected that the day he handed in his resignation letter and left Johannesburg to start experiencing being self-employed as a full-time business operator was a highlight of his professional career. "Needless to say, three years later the business was no longer in operation. It's after this failed business that I started lecturing part-time and started my marketing and communications business," said Mahlati. "I've faced many challenges; from discrimination to non-payments by clients to financial lows to breaking relationships and disbanding partnerships." He added that these challenges, and more so overcoming them, have made him a better and stronger person. "I'm a driving visionary. When I'm in charge of a project, I offer the team long-term vision and have the ability to inspire and communicate that vision to others. I'm insightful and perceptive, and I genuinely care about the development of others. I want to influence people positively not only in South Africa, but in other countries on our beautiful continent and all over the world. I want to see young people starting and growing sustainable businesses which dramatically reduce our unemployment rate and our crime rates. Moreover, I want to see African people pushing the boundaries of development and innovation." Mahlati added that his 'drive' is natural and not contrived. "Business and life in general is about adding value to other people. We must always try to keep things simple and not to over complicate them. You can only do good business with good people. We need to try our best to remove ourselves from negative associations and unbecoming practices. The path to success is never straight and narrow. It's more of a journey of selfdiscovery which eventually plants you in the path of your purpose. Once you've found your purpose, try your best to live it, enjoy it and to monetise it."